Be sure to use the same email address used with your EA Account when registering for TheSims3.com. This will allow us to connect the two accounts and ensure you receive the correct Expansion and Stuff Pack entitlements.. Please upgrade your browser to IE7 or higher to view this site. You can visit Microsoft.com to upgrade your browser. Are you sure want to Continue ? You can register your game at any time on your My Account page. 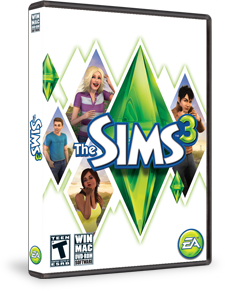 To download this item, you must have the full The Sims 3 game installed. Are you sure you want to delete these items? This user unlocked this background by becoming a site moderator. This item came packaged with an exclusive store promotion. will be Cancelled. Are you sure you want to cancel the Treasure Hunt? Your account has reached the maximum number of Sim Points allowed. Please try again when you have fewer Sim Points in your account. Your FREE simpoints will continue to be available to you until you have reedemed them. We are not able to process your request. The serial code you entered is invalid. Please enter a valid serial code and re-submit. What does this mean? You may have entered the code wrong. You may have already used the code for another account on this site. You may have purchased a used copy of the game and the serial code was used by the original owner. If you purchased a digital version of The Sims 3 (base game, expansion pack, or stuff pack) from Origin, your game is automatically registered to your account. You do not need to re-register your serial code with TheSims3.com. You have successfully registered your The Sims 3 game. 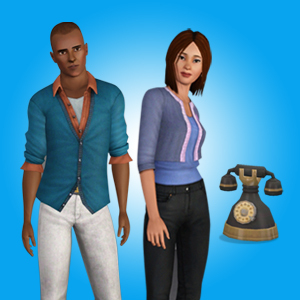 You can now claim your 1000 FREE Simpoints to spend at the Sims 3 Online Store. 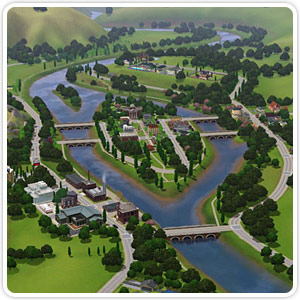 Don't forget to download Riverview, your FREE new town! You have successfully registered your The Sims 3 game! Don't forget to download Riverview your FREE new town! You have full access to all the community features. Download your Collector's Edition exclusive item now! You have successfully registered your The Sims 3 World Adventures game. Use your $10 worth of FREE SimPoints to shop for EXCLUSIVE content at The Sims 3 Store. And don't forget your FREE* new town! Expand your game even more with this free download. Download your FREE Explorer''s loot now! 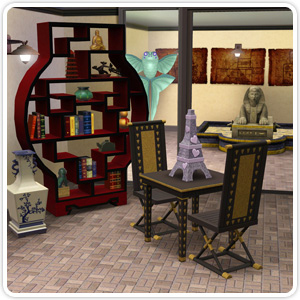 Prepare your Sims for adventures with helpful maps, exotic Egyptian furniture, and more. You have successfully registered your The Sims 3 Ambitions game. Download your The Ultimate Career Bundle now! Unlock exclusive new hairstyles as a stylist, invent gadgets as an inventor, create works of art as a sculptor, and play new cases as a private detective! You have successfully registered your The Sims 3 Late Night game. Download your FREE Red Carpet Collection now! 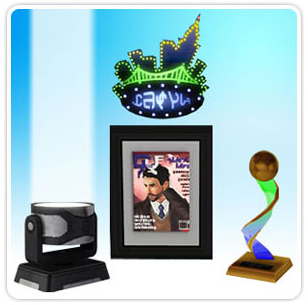 Exclusive items to deck out your town and your Sims'' home, Hollywood-style. You have successfully registered your The Sims 3 Generations game. 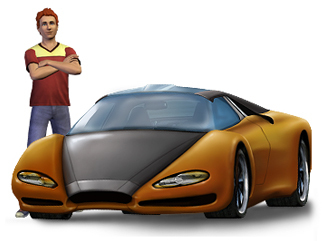 Download your FREE* The Sims 3 Generations Registration Gifts now! With Generations, Sims of every age can enjoy new activities! Kids can hang out with friends in tree houses. Teens can pull hilarious pranks. Adults can suffer midlife crises. And so much more! You have successfully registered your The Sims 3 Pets game. 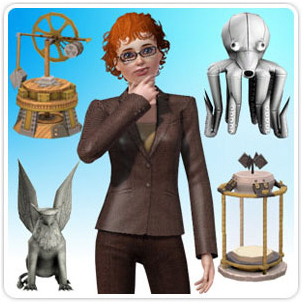 Download your FREE* Atomic Age themed pet items now! With a variety of new activities and social interactions, take control of your Sims’ pets to discover surprising new ways to play with life! You have successfully registered your The Sims 3 Showtime expansion pack. Download your FREE* Freestyle DJ Booth now! With the Freestyle DJ Booth, your Sims can moonlight in the evenings by spinning tunes. Keep the crowds fist pumping all night long and you’re sure to be a hit. 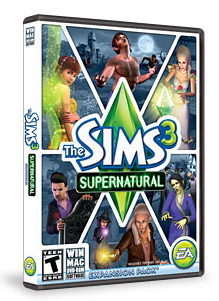 You have successfully registered your The Sims 3 Supernatural expansion pack. Download your FREE* Plants vs. Zombies Fan Pack now! Now your Sims can proudly display their love of the classic game Plants vs. Zombies with a Plants vs. Zombies t-shirt and poster. You have successfully registered your The Sims 3 Seasons game. Download your FREE* Seasons Wall Decal Pack now! Now your Sims can proudly liven up your blank walls and decorate with your favorite seasonal theme. You have successfully registered your The Sims™ 3 University game. Download your Mascot Attack Pack now! Whether your loyalties lie with the Fighting Llamas or the Walloping Kangaroos, you’ll want to wear your mascot on your … er, wall. Which you can do with this mascot set! You have successfully registered your The Sims™ 3 Island Paradise game. Download your Tropical Waters Hat Pack now to set a festive tropical mood! You can be the most eye-catching chica or chico on the beach with the towering fruit hat, or be the partay captain with the boat captain''s hat! You have successfully registered your The Sims™ 3 Into the Future game. Download your Cosmic Cosmetics Bundle now! Look both fascinating and alluring when wearing any of these cosmically inspired cosmetics! Upgrade your registration for The Sims 3 Community! You must be a game-registered user to use certain community features. Purchase one of our games by visiting your local retailer or by browsing our Games Page. Already own a Sims 3 game? Please register your game and get full access to the site's features. This action has been temporarily disabled. Please try again later. You've Succesfully Redeemed Your Code! Thank you for completing your The Sims 3 redemption. Please go to your Purchase history to install (it may take up to 5 minutes for the item to appear on your Purchase History page). Origin brings an entire universe of gaming into a single, convenient application. Downloads are streamlined for quick and easy installation, and you can securely purchase and play your favorite games any time and any place you want. You can even chat with your friends right from the Origin application while you play. New features recently added to Origin include live streaming demos, free-to-play games, and a beta cloud storage feature. For gamers on the go, Origin services are also available on your mobile device! If you already have an EA Account, you can log in to TheSims3.com with your EA ID to create a persona name for The Sims 3 Community. The email you have entered has already been used to create account with EA. - You have an Origin ID from registering an account with Origin. - You've used this email to register for a different EA game in the past. - You've already registered for TheSims3.com. To access your account, please login by clicking the link below.